This is a post about cake. Everyone likes cake, don’t they? When you walk past one of those high-end cupcake stores like Magnolia Bakery and see all the cakes lined up in the window, there’s a great urge to run inside and buy one (or more than one). You know you probably shouldn’t, but you do anyway. Cakes, by and large, are sold by their icing. The cake itself, sensu stricto, may be appetizing and nutritious, but a lump of brown cake by itself is not particularly exciting. Nonetheless, cake performs an essential function in the bakery. 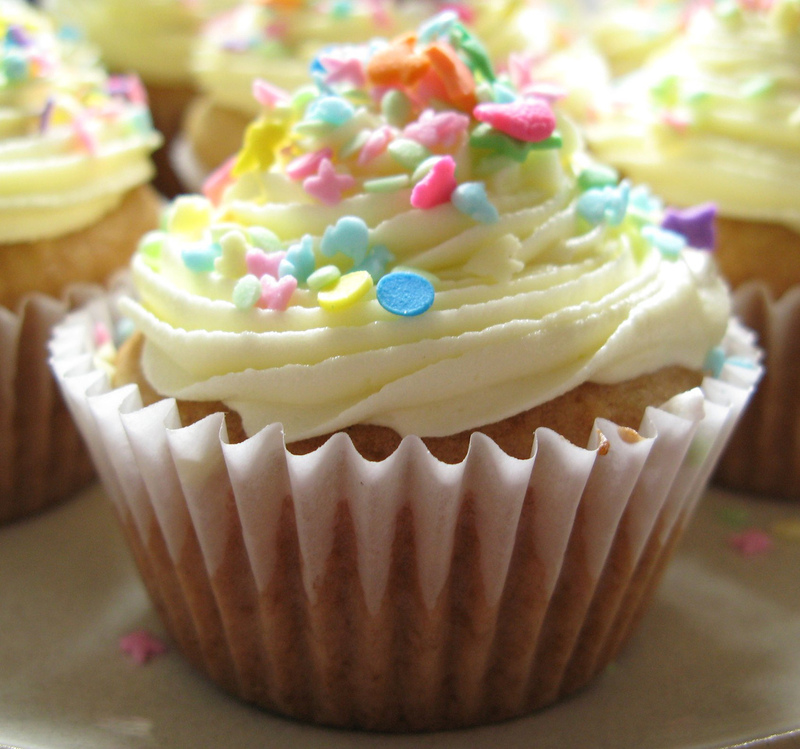 It’s possible to imagine a world in which you had minimal or zero quantities of cake and your confectionary was made up mostly or wholly by icing (some might say that designer cupcakes are a prime example of this). But it wouldn’t be a very substantial cake and you wouldn’t get much benefit from eating it. The cake may be a bit boring to look at, but without the cake to back it up, icing is a bit meaningless. The National Science Foundation recognizes the value of cake, at least in a metaphorical sense. NSF supports cutting edge research of the sort that gets published in frontline academic journals and sometimes gets recognized by prestigious international awards like Nobel Prizes. This is glamorous, high profile stuff that gets in the papers and makes people’s careers. It may be a little unfair to compare it to icing, but bear with me for a bit. NSF doesn’t just pay for icing. It also supports cake, in the form of infrastructure and equipment grants. And if you work in a natural history museum in the USA, one of the most important of these grant programs is Collections in Support of Biological Research (CSBR). CSBR is not a huge program by NSF standards – around $6 million a year - and the work it supports is unlikely to set the world on fire. CSBR pays for new cabinets, and archival storage materials, and specimen conservation, and collection databasing and imaging. No-one ever won a Nobel Prize for this stuff, and it certainly doesn’t have much of an impact on the tenure process of the average faculty curator. But without it, our collections would be unusable for science. Which demonstrates a truth universal; everyone agrees that cake is important, but no one likes paying for it. NSF recognizes the importance of infrastructure, but it has to make pretty pink cupcakes to take to Congress each year in order to justify its budget. CSBR grants rarely make headlines, and when they do it’s for all the wrong reasons. So what we’re left with is grandiloquent language about unlocking the secrets of life by describing biodiversity. It’s stirring, but it’s also deeply unsatisfying to anyone that actually works with museum collections, because we know that underneath the shiny pink exterior there’s not much cakey substance. A couple of posts back, I was talking about "Mapping the Biosphere," a paper in Systematic Biology that attempted to set out the effort and resources required to describe 10 million species in 50 years. It was an interesting paper, because it genuinely tried to get to grips with the challenges of the underpinning collections infrastructure as well as the taxonomic challenges. In other words, while there was a liberal dollop of visionary icing, it didn’t scrimp on the cake. It’s a vision that anyone who cares about natural history collections should embrace. So why do I have feelings of misapprehension? Some of the reasons were laid out in the earlier post and relate to the problems of launching any “Big Science” program in this day and age, but there’s also a cake dimension. To illustrate this, I’m going to shift metaphor temporarily and talk about cricket. Norman Tebbit (who anyone who lived in Britain in the 80s will remember with a fond shudder – those were the days when Tories were Tories, rather than the milquetoast modern variety that slash your services to the bone, but put on a sad face while they’re doing it) once proposed a “cricket test” for immigrants to the UK. To paraphrase Tebbit, Britons of Indian and Pakistani extraction claim they’re proud to be British, but who do they cheer for when England are playing India or Pakistan? If they’re not cheering for England, can they really call themselves British? It was a fatuous question and came to signify all that was wrong about that government’s approach to race and immigration. But I’m not above repurposing for my own ends. My question to my faculty colleagues working in museums is as follows. If you were given a chunk of money - sufficient for one salary for, say, three years – and told you could employ a postdoctoral fellow or a collections assistant, who would you hire? The person who might boost your research output to new levels, or the one that will deal with your cataloging backlog. My guess, based on the cake and icing model, is that nine times out of ten it will be the former and not the latter. And that’s why we will always struggle to get adequate support for our collections. Now, if you are a faculty member reading this – which is quite unlikely – you may say that this is unfair, and it’s like being asked to choose between apples and oranges. To which I would reply, first, shame on you for introducing yet another food metaphor into the discussion, and second, are you seriously suggesting that “apple or orange?” isn’t a legitimate choice? I’ll close with one more bakery-related metaphor. Suppose you owned a bakery. It might be a good idea to talk to your customers about how to make your products better and to improve the quality of your service. But would you put them in charge of the bakery – rather than a trained baker – on the basis that eating cake gives them a unique insight into the business? And on that note, I think I’ll finish. I stole this shamelessly from Spineless Wonders, a blog by my colleague Jess Utrup. You can read her post about it here. 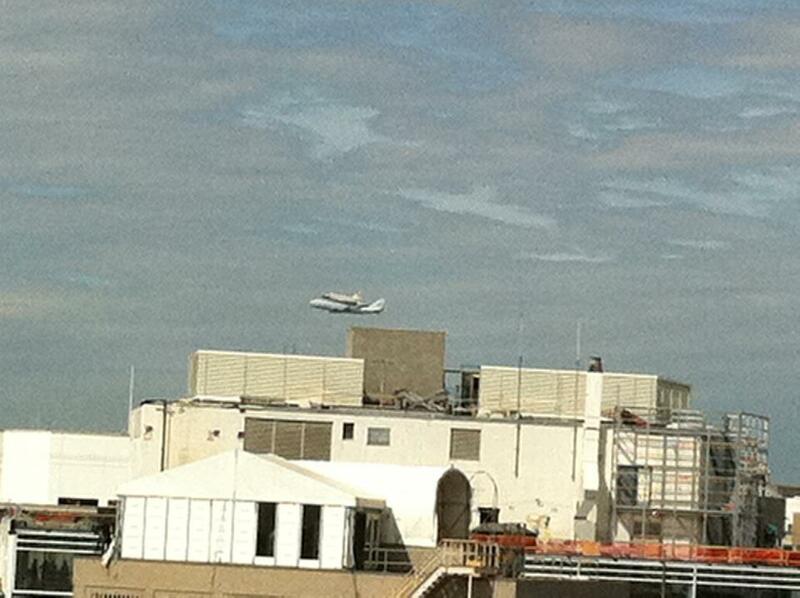 Last week my friend Beth Merritt (we'll come back to her in a minute) shot a photo from her office window of the Space Shuttle Discovery, piggybacked on a NASA 747, flying over downtown Washington DC on its way to its new home at the Smithsonian's National Air and Space Museum (left). It was a poignant moment - the end, at least for now, of America's manned space program. For the time being, U.S. astronauts are going to ride into Earth orbit (which is as far as anyone has been for the last 40 years) on a mix of Russian and commercial spacecraft. Fear drove America into space and on to the Moon - fear of a "missile gap" between Russia and the USA (which John F. Kennedy had used to get elected in 1961), fear about being left behind in a technological competition with the Soviet Union, fear of a loss of leadership and prestige. When Kennedy committed the nation to landing a man on the Moon by 1969, it unleashed a frenzy of technological creativity, riding on a tidal wave of dollars. At its peak, there were more than 400,000 people working on the Apollo program, which required the support of over 20,000 industrial firms and universities. The total cost was over $24 billion; the estimated costs of in 21st Century dollars vary from $109 billion to $170 billion. It has been described as the largest commitment of resources ever made by any nation in peacetime, but war - in this case a Cold War - and the fear of war was what really lay behind it. Apollo seized the public's attention. In 1968, televised pictures from Apollo 8, the first manned spacecraft to orbit the Moon, formed the basis of the most widely watched television broadcast up to that time. The following year, an estimated one-fifth of the population of the world watched the live transmission of the first Apollo moonwalk. The definining image of Apollo may have be the view of Earth as a fragile, small blue planet floating in space, as captured in photographs taken during the lunar missions. It was the first time our species had viewed its planet from such a distance. The 24 astronauts who traveled to the Moon are the only humans to have observed Earth from beyond low Earth orbit and in 40 years, no-one has traveled farther from Earth. Apollo required the organization of tremendous public resources within a vast, centralized bureaucracy under government direction; a rich irony for a program intended to showcase the superiority of the capitalistic, free-market system as represented by the US. But the economic payoffs of space exploration to the commercial sector have been huge: LEDs, infrared ear thermometers, artificial limbs, aircraft de-icers, temperfoam mattresses, babyfood, and cordless vacuum cleaners are all built on technologies first developed by NASA (NASA even has a journal, Spinoff, devoted to publicizing its technological innovations). But despite all this, without the fear it's been next to impossible for NASA to sustain a manned space program. The current U.S. Administration has abandoned the idea of a return to the Moon in favor of a so-called "Flexible Path" strategy that might involved the Moon, might involve Mars, might have Americans orbiting Mars (but not landing on it) by the 2030s, and which depends on a heavy light rocket that might built sometime after 2015. It's not exactly visionary, but it does reflect the reality of trying to support a large scale, Federally-funded science and technology program in these financially-straightened times. By now, you may be wondering what all of this has to do with natural history museums. Well, last month saw the publication of a "call to arms" by the systematic biology community to undertake the taxonomic equivalent of putting a person on the Moon; describing every one of the estimated 10 million species of organism on the planet and completing the project in less than 50 years. The project is called "Mapping the Biosphere," and you can read a press report here; for those of you with on-line journal access, the paper itself (from Systematic Biology) can be downloaded here. Mapping the Biosphere comes with a price tag of $1 billion a year for the next 50 years (presumably adjusted for inflation), although the authors do note that others (e.g. Carbayo & Marques, 2011: TREE 26, 154-155) have come up with a cost that is over five times as high. I'll admit to being a bit jaundiced about these sorts of efforts. UK readers with long memories may remember a similar effort in the early 1990s that proposed to reinvigorate the taxonomic community in Britain. As I recall, we were exhorted to abandon research on vertebrates and instead throw all of our efforts into sequencing nematodes and tardigrades. This would generate a host of phylogenetic trees that could then be used as the basis for evolutionary studies (the so-called Phylogenetic Comparative Method or PCM). The people issuing this battle cry were, not surprisingly, people using PCM who didn't have access to the trees they needed. For all of their considerable intellect they were not systematists, and it showed. No flood of funds was released, although the Natural Environment Research Council (NERC) did create a five-year program that funded some postdocs, students, and training courses. The UK is still trying to get out of first gear as far as taxonomy and systematics is concerned - for the latest effort, see here. So what about this new vision for a 50-year effort? As it turns out, there's a lot to like about it. First of all, it's written by people who actually work in systematic biology, although a quick scan of the names suggests that it's more chiefs than indians. But after all, that's why we pay them the big bucks, right? And there are a lot of people in there that I know/like/respect. Next, the scope is probably about right, both in time and money. This really will need to be a major effort, employing thousands of people. The authors suggest that improvements and innovations in technology will mean that the rate of species description may accelerate, although it seems likely the rate-limiting step will be field collection. Another thing that I appreciated was the high profile given to museums and collections. You may think that this would be an obvious part of any wide-ranging attempt at large-scale species discovery, but there have been times in the past when this has not been the case. But in the words of the Systematic Biology paper "No outcome of an intensive campaign to inventory species will be more important than the growth and development of collections... if the existing ratio of museum specimens to known species is about right... we can anticipate museum collections about six times the size of those at present." I particularly enjoyed this statement, because it blows a substantial raspberry in the face of the UK museum community, where a mania for sustainability has been translated into some quarters into a call to severely limit collecting. Sustainability is a critical issue, but using it as a fig-leaf for the fact that you don't have enough resources to do your job properly is a bit wet. Not that the issue of sustainability has been overlooked. As the paper's authors go on to say, "International planning and cooperation is essential in order to avoid unwanted redundancy in effort... it is an appropriate time to modernize existing physical plants to assure optimal conditions for the long-term conservation of specimens.... and to re-examine the efficiency of storage systems themselves that have changed little in more than a century." The paper also proposes reviewing and changing work practices in our collections, something that we're already looking at for collections digitization (subject of a future PoH post). The authors even talk about speeding up the process of accessioning - possibly the first time the word "accessioning" has ever appeared in Systematic Biology - and maybe going as far as creating regional centers for specimen processing to assist resource-starved museums. There's also a well-deserved wrist-slap for the funding agencies; "Given the importance of collections to the documentation and understanding of biological diversity, it is unconscionable that so little funding is made available for the maintenance, growth and improvement of natural history collections." With NSF looking to halve funding for the Collections in Support of Biological Research program by making it a biennial competition (of which more in the next post) this is a timely rebuke. Funds are still available for collections support, and the Advancing Digitization of Biological Collections program is giving a much-needed boost to collections accessibility. But it's still nowhere near enough money for a program of the size envisioned in this paper. Which is where we get off the positivity express and take a cold shower of reality. Fifty years is a very long time - the Apollo program managed just over ten years before it all came to a grinding halt. Administrations come and go, priorities change, new opportunities emerge, new crises require a response. Sustaining a focused scientific effort over that period will be an enormous challenge - maybe a bigger challenge than getting the funding in the first place. Not that funding isn't a problem as well. $1 billion a year doesn't seem like a lot of money in the context of the U.S. Federal budget. This year, the U.S government proposes to spend $3.796 trillion. A quarter each goes to pensions, defense, and healthcare; not surprising if you consider the fear-based motivation we looked at earlier - everyone's afraid of getting sick, getting old, or being blown up by terrorists. The last quarter gets divided up between everyone else. Science accounts for about 2% of the budget (see here for details) and when you get into the nitty-gritty of where that money goes, $1 billion starts to look a lot bigger. It would be 12.5% of NSF's annual budget for 2012 - 30% more than all of the funds that NSF currently provides to its BIO Directorate. And all this so that scientists can name beetles? You can imagine the Fox News headlines already. Of course no-one's arguing that one agency should support "Mapping the Biosphere," or even one country, but looking at the paper you could be forgiven for thinking so. It has 39 authors from 25 institutions; 34 of those authors and 21 of the institutions are U.S.-based and only 1 author is from a country with an emerging economy (in this case Brazil) despite the fact that most of the world's undescribed biodiversity resides outside the United States and Europe. It seemed to me that this was a major flaw. There is a considerable (and perhaps understandable) resentment in many parts of the world directed towards the mining of biodiversity by "First World" institutions and one would expect that any large-scale program of species description would deal with this front-and-center. As it was, I had flashbacks to the early nineties taxonomy debates, with their emphasis on "parataxonomists." For those of you who haven't come across this concept before, a parataxonomist is a (usually local) worker who has been given basic training in species identification. They carry out the initial sorting of specimens, but as soon as something interesting emerges, an "expert" (usually not local, and more often than not from a First World institution) swoops in to describe it. The work of the parataxonomist thus saves the more valuable time of the expert. How anyone could look at this arrangement and not think about colonialism beats me (back when I was a student - admittedly some years ago - I actually heard someone describe parataxonomy, without irony, as "barefoot taxonomy"). In the 21st Century these sorts of attitudes just won't do; the only way this massive species description effort will work sustainably is with at least some of the leadership coming from the countries that actually "own" the biodiversity; as many of them are struggling to lift their people out of the trap of poverty this will be a big hurdle to overcome. Another challenge is how to grab the public's imagination, critical if long-term support is to be established. Consider the Large Hadron Collider, a project that is cited by the paper as having a similar scale and return on investment as a global species discovery effort. The science that underpins the LHC is, frankly, next to impossible for a layperson to understand, but the statistics of the collider itself are staggering. 17 miles long, buried 500 feet underground, with instruments the size of a house. It contains 1,600 superconducting magnets, weighing up to 27 tonnes each, which are cooled to -271 C using liquid helium. Protons travel round it at only 3 meters per second less than the speed of light. Who cares what it does - it's awesome! NASA has rockets and can drive a robot across the surface of another planet hundreds of millions of miles away, beaming back high definition photos to Earth. Natural history collections are Big Science, in their own way, but it's a hard sell. The public may love museums, but they don't think of them as something that comes with a $1 billion a year pricetag. There's also an issue that "Mapping the Biosphere" is a journey without a clear end. Apollo had an unambiguous goal; Kennedy promised that an American would walk on the Moon by 1969 and that goal was met at 02:56 UTC on July 21 of that year, when Neil Armstrong's left boot hit the surface of the Sea of Tranquility. The ultimate goal of the proposed species documentation effort is a lot less tangible, because there isn't really an end to it. Since we don't know how many species there are, we can't know when we're done. And even if we get to an "end," taxonomists being what they are, many of the species described earlier will already be the subject of fierce debate, or have been consigned to the dustbin of synonomy. So, I've given you some positives and some negatives and now, if you care about this issue one way or another, go off and take a look at this blog post by Beth Merritt (I told you I'd get back to her in the end). For those of you who don't know her, Beth is the Director of the American Association of Museum's Center for the Future of Museums, and she thinks museums can change the world. Also, because she's super smart and started out in natural history museums, she believes that "natural history museums have the greatest potential, among their brethren in art, history, science, to play global superhero, if only because the need is greatest." Maybe "Mapping the Biosphere," for all its flaws and challenges, is what we should be doing. Or maybe we should be doing something completely different. If so, we'd like to know your thoughts about what that might be. Beth will be leading a day-long forecasting exercise on June 16, at the annual meeting of the Society for the Preservation of Natural History Collections in New Haven, CT, which will explore some of the pressures on natural history collections and how they will adapt to changes in science society over the next few decades. For my sins, I've agreed to help her with this; we'd love you to attend, but even if you can't you can still participate on-line. Beth's blog post will tell you how, but to return to the very beginning of this post, one of the things we'd like you to think about is what might drive changes in museums. Cold War fears ultimately put Neil Armstrong on the Moon; what drivers might, for example, lift "Mapping the Biosphere" off the ground? It look something special to rouse me from my winter blog torpor, and it was this review by Ed Rothstein in yesterday's New York Times. 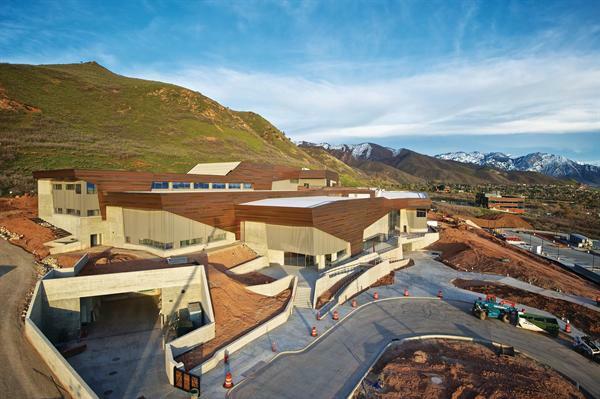 It's a review of the new Natural History Museum of Utah, which opened in the fall of last year. The Museum looks like a splendid place and has finally provided me with a reason to visit Salt Lake City, but I'm not going to talk about it. Instead, I'm going to take my life in my hands and talk about something I know little or nothing about, which is anthropology in natural history museums. I was told once that bloggers are at their best when they are expressing passionate opinions on subjects where they are completely ignorant, so this post should be a corker. In retrospect, alarm bells should have rung in the first paragraph of Rothstein's review, where he states that the focus of natural history museum "is not human history, measured in centuries, but natural history, measured in eons." He continues in the same vein - "And their subject is not a particular culture and its accomplishments, but a world that seems to stand beyond culture altogether. Natural history museums seek their ground in the earth itself." I was so excited that someone was writing a grown-up, arty review of a natural history museum (and so busy trying to figure out how I could lift these quotes into as many presentations and publications as possible) that I didn't stop to wonder where all this was going. I was still being swayed by oratory some paragraphs later, when Rothstein wrote that natural history museums have an "almost mythological function: forging the the scientific counterpart of the creation story, dramatizing and demonstrating the forces of the natural world from which culture has risen." (I am so stealing that one, by the way). If this review was a rollercoaster, then I was at the very top of it. Unfortunately, there's only one way to go from there. What happened next was a bit like an experience I had in a bar a couple of years ago, when I was in a pleasant conversation with an apparently sane man about the ways in which science could contribute to society. Suddenly he started talking about the genetic basis of behavior and before I knew what was happening I was listening to a wild-eyed rant about improving humanity through a program of selective breeding. All the time I was thinking "Help! Help! I want to get off!" To be fair to Ed Rothstein, that was not my reaction to his Times piece, although I did find my jaw steadily descending towards the floor. What the review had been leading up to was a consideration of the role of American Indian voices in the interpretation of their material culture as displayed by natural history museums; a perspective that Rothstein noted - with approval - was "refreshingly" absent from the Utah Museum's archaeology and anthropology exhibits. Not so for some of the other galleries, however. Stern disapproval is evident in the tone of Rothstein's writing when he gets to an exhibit called "Sky." Here, a "Western" astronomical star chart is contrasted with one used by the Navajo; there are - quelle horreur! - "suggestions of equivalence," and "homage both to 'indigenous knowledge' and 'Western science.'" The Navajo star chart has "far less information" than its Western equivalent, and shows less understanding of the stars than even 18th Century Western astronomy. I can see Rothstein's point, of course. Natural history museums house collections of material accumulated to support scientific endeavor. When these museums exhibit this material they don't take a neutral position; they mirror the way in which researchers use the collection - treating specimens as evidence in support of scientific hypotheses about the nature of the planet and the things that live on it. In this way they differ from museums of art or culture, which can embrace multiple ways of understanding or "knowing." Science can accomodate conflicting hypotheses, but only when supported by evidence. For ethnographic material, the only way of seeing it is the way that science sees it - as evidence. If you take this position then American Indian commentary is irrelevant in a natural history museum because the evidence does not support their view of the world. But there's another aspect to this. Museum exhibits - good ones, that is - should reflect the content of their collections and draw on them for material. Anthropological and archaeological collections are, as Rothstein says, as central to natural history museums as minerals or fossils. In his review, he rather delicately says that this is because American Indians and other "ancient cultures" were considered "closer to the natural world." But let's call a spade a spade. This material is housed in natural history collections because the creators of those collections thought that indigenous peoples were rather less than human. "Art" and "Culture" was confined to the Old Word - everyone else was just a few steps away from living up a tree. What Rothstein is saying, in his review, is that the American Indian view of the world is less sophisticated - i.e. inferior - to our own. It's interesting that he references 18th Century knowledge, because his perspective on indigenous culture mirrors that of the Founding Fathers of the United States, who saw Native Americans as equals, but with an inferior society. George Washington believed that the role of the United States should be to "civilize" the Indians. We all know how that turned out. In recent years, museums have responded to this tragic history by trying to be sensitive to the views of American Indians when housing or displaying their material culture. There are a wide range of approaches to this; including Indian perspectives on artifacts in exhibits; allowing tribal representatives to access collections and exhibits for religious purposes; removing sacred artifacts from exhibition and restricting access to them in the collections; and repatriation of specimens and human remains. There have been high profile conflicts, such as Kennewick Man, which have set scientists and the tribes at odds, but these are far outweighed by the many examples of positive engagement and dialogue that don't make the news. At this point, you may be expecting me to end with the blogging equivalent of a group hug. But I thought it would be more fun to strike a discordant note. If natural history museums are going to be tolerant of other people's views when they diverge from the accepted scientific paradigm, and give those views space in the museum, shouldn't it be a level playing field? What about people from our own, Western culture, that have a different view of the origins of life on earth? My friend Beth Merritt commented on this some weeks back (and when I can find the blog post I'll add a link) [thanks, Beth!] in the context of museums' oft-repeated desire to "engage with and serve" their communities. What happens when your views are completely out of step with a significant chunk of your community - if, for example, you are a museum of natural history in a Red State where the majority of the population do not accept evolution? Do you tackle this issue head-on, running the risk of - God forbid! 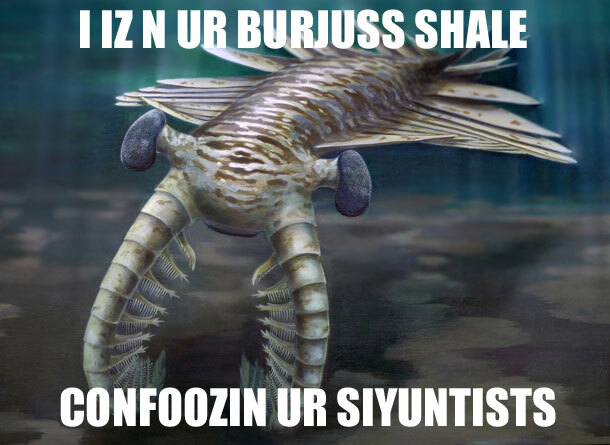 - giving Equal Time to creationists and ID-ers? Or is your brave talk about "engaging" just a bunch of BS, cloaking a regular, old school, didactic approach to exhibit? Has it really been 99 days? Roosevelt managed to pass the New Deal in 100 days. I couldn't manage a single blog post. I'd love to tell you that it was the result of something exciting; a life-threatening illness, major car crash, 3 months undercover work for the SIS in Kazakhstan. But no. I was just doing other stuff, and along the way I stopped blogging. Sorry. Anyway, I'm back now. Except I'm going on vacation next weekend. For two weeks. Sorry. Again.